Loft conversions are an excellent way to make the most from your home – transforming an unused storage space into a room full of potential. A good loft conversion can also add up to 10-20% onto the value of your home, no matter what you end up using the space for. 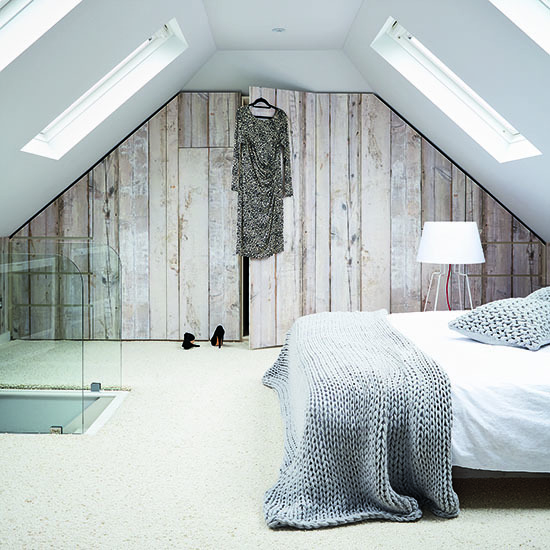 To help you get inspired, we’ve rounded up some of our 5 favourite loft conversion ideas. Lofts are not the most conventional of room shapes, so it can be hard to find furniture or storage solutions that fit the space properly. Although it can be a pricey option – splurging on bespoke furniture can really create a wow factor. Using its unusual shape to your advantage, bespoke furniture can be used in so many great loft conversion designs. 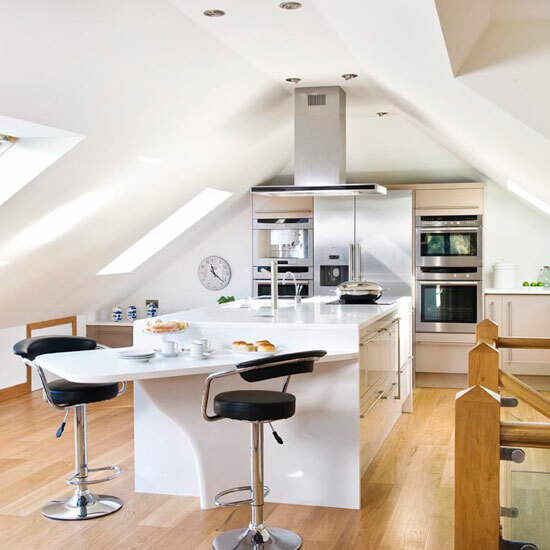 Loft conversions are a way of adding extra space to your home. What you do with it is completely up to you. Although bedrooms are a popular choice for loft conversions, particularly for homes that have smaller sized bedrooms or growing families – loft conversions don’t stop there. Why not turn the space into an extra living or relaxation area, an office or even a kitchen? The wooden beams and brickwork in lofts deserve to be celebrated. Instead of spending money hiding these away – embrace them for a rustic look. If the amount of work seems overwhelming, leave one wall exposed as a feature wall and paint some of the wooden beams lighter colours to tone back and draw attention to certain points of your loft. 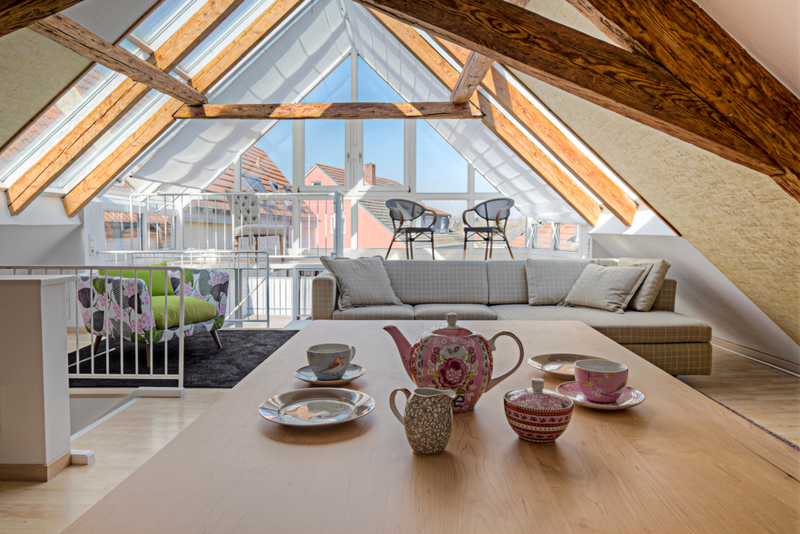 To really make the most of this loft conversion design, add some matching wooden furniture to your room and tie the whole look together. If your ceilings are tall enough, adding a small mezzanine floor to your loft is an excellent way to maximise your space. There are so many ways that a mezzanine floor can be used – the most popular of which is to use it as a bedroom area. With the bed on the mezzanine, you can then use the downstairs space for storage and a place to relax or entertain guests. Natural light is an important, and often overlooked, design feature. It not only brings many health and wellbeing benefits (such as making you feel happier and more energetic), natural light also makes a room look more open, light and spacious. With the right roof windows or skylights, you can create a feature wall to maximise your light or highlight some amazing views. Loft conversions allow you to let your personality shine through in your house. With so many loft conversion ideas and designs out there – there’s no limit to what you can build. No matter what you have in mind, all loft conversions start with one thing: the right roof window. At LB supplies, we have a range of different styles, sizes and types of roof window and skylight, ensuring we have the perfect one to match your design. Interested? Browse our range today.